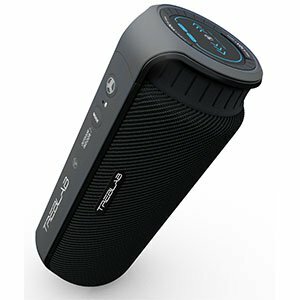 If you are looking for a good Bluetooth speaker and you want to go above the affordable segment, spending around $100 will get you a significant upgrade in performance as well as features. Today we are going to explore this segment of the market and check out some of the best Bluetooth speakers you can find there. We’ve selected a few outstanding ones for you to check out, which we think really push the boundaries. Once we go over those, we will discuss what you can expect to see in this price range. Needless to say, there’s quite a bit. 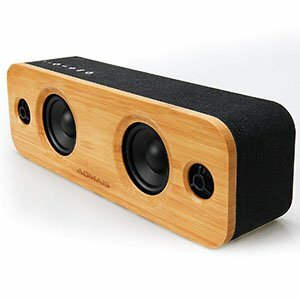 A super compact speaker which actually sounds good. IPX7 level of waterproofing is always a huge plus. Robust design which has been proven to work. Great sound and plenty of battery life. Lacks some lower end girth which was expected. Fender has opted to go with a Texas Special single coils for this build. These are Telecaster specific pickups which definitely capture a lot of that classic Telecaster sound the whole world has grown to love. On top of that you get Fender’s standard hardware which is probably the most solid thing about their guitars. Overall a must have model. A super attractive design which is also functional. Comes packed with good features and easy controls. Offers good sound with an extended lower end. Good battery life and fast charging. Tubular design isn't the most practical shape. 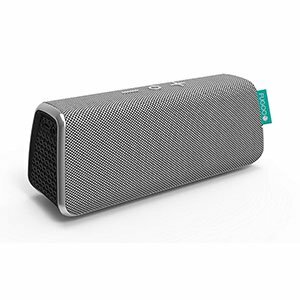 When it comes to outdoor speakers which can take a beating, chances are that you will have a hard time finding something that is as good and as attractive as the Ultimate Ears Boom 2 Phantom Wireless Mobile Bluetooth Speaker. This bad boy is all about performance. With that said, it features all the necessary protection and pretty good features. At its core you have a set of pretty capable drivers which are paired with a bass boost feature. Although there’s no dedicated subwoofer, you are still going to get a decent amount of bass in there. Then we have the 15 hour battery, IPX7 protection, large and easy to use controls and more. This is one well rounded package. A simple yet elegant solution for indoor use. Great sound coming from a wonderful 3" driver. Decent battery life that offers 8 hours of use. Dual side firing passive bass radiators add a lower end. Not suitable for outdoor use under harsh conditions. 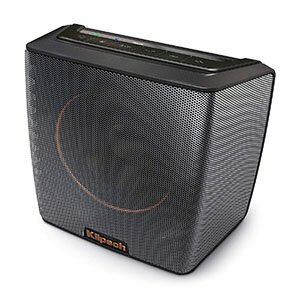 Klipsch is another brand that has a fairly established presence on the Bluetooth speaker market. With that said, they are more popular in the home theater segment where their models are among the best. 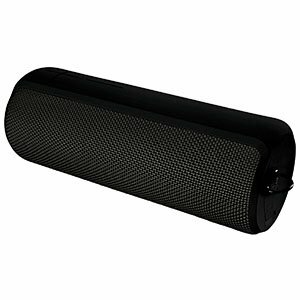 What’s great is that they have used that experience and knowledge to create models like the Klipsch Groove Portable Bluetooth Speaker which offer pretty awesome value. Designed mainly for indoor use, this Klipsch model features a high quality full range driver which comes with passive bass radiators. On paper it may not sound like much, but in practice there is actually a decent lower end to the sound you are getting. The built in battery offers some 8 hours of use and relatively fast charging times. Great design and aesthetics make it attractive. 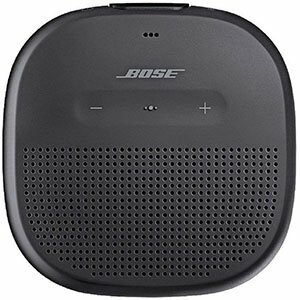 Easy to pack and fairly compact speaker. Good complement of drivers which push out 12 Watts. Great battery and decent features all around. Tends to roll around if not positioned upright. Treblab’s current lineup is full of interesting models which include some pretty awesome designs. If you’re into more sports oriented speakers, their Treblab HD55 might be exactly what you need. This thing is pretty robust for its size. With that said, it’s not something you would want to submerge for too long. With a tubular chassis, it’s easy to pack. What defines this particular speaker are the 12 Watt drivers hidden behind that mesh. It is a design that offers 360 degrees audio and a decent amount of volume at that. The battery will last you some 10 hours which is a fairly decent number for this price range. Overall sound is good and offers plenty of range and detail. One of the more iconic models in this segment. Great design which has been tested many times. Good sound overall with a decent low end. Good battery life ensures plenty of use. Tubular design isn't the most stable one. Even though the market for Bluetooth speakers is very saturated these days, there are still models which are recognized as classics. 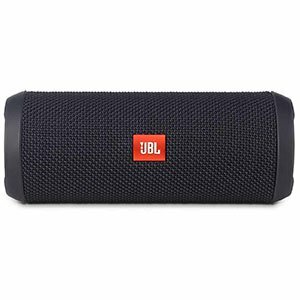 JBL Flip 3 Splashproof Portable Bluetooth Speaker is one such model. Actually, the entire Flip family of speakers fits under that title. It’s a cool speaker that offers a lot at a very decent price. It’s worth checking out. What has made it so iconic is its resilience to wear but also its performance. You are looking at a very solid set of speakers which are guaranteeing good audio quality no matter what. With a battery life of 10 hours, it’s quite an awesome package. On top of all that, it is rated as splash proof which is awesome. Great design which adds some style to the equation. An impressive complement of hardware. Great battery life for a 30 Watt unit. Built in EQ that actually works well. Lacks any substantial protection rating. They say that aesthetics aren’t, or at least shouldn’t be a factor when shopping for Bluetooth speakers. While there is some merit to that approach, a good speaker will sound good but also look good. AOMAIS Life 30W Bluetooth Speaker fits that description perfectly. It offers a number of awesome solutions on a technical but also visual level. It’s great! What we like the most is the fact that you’re getting 30 Watts of power on a battery that will last you some 10 hours per charge. Then there are the mighty drivers which have plenty of range on their own, but are also boosted by passive bass radiators on each side. This entire speaker is just built for performance. A robust, simple design which works great. A complement of 6 awesome drivers deliver great sound. Impressive battery life for such a power hungry setup. Plenty of protection from both water and particulates. Getting a more robust sound out of a fairly affordable speaker is quite rare, but not impossible. Fugoo Style Portable Bluetooth Surround Sound Speaker is a model which really pushes the boundaries of what we can expect in this segment of the market. Where most other brands are cutting down on hardware, Fugoo went overboard and boy did it work. At the core of this awesome speaker are no less than six drivers. We are talking full 360 degree sound which actually offers decent bass and detail. If you can keep the volume at 50%, this speaker will last you an impressive 40 hours per charge. On top of all that, it features actual water proofing and particle proofing rating. A fairly unique design that is both practical and attractive. Bass boost feature that adds lower end to the mix. Great features all around, especially in chassis protection. Good battery life with a fast charging time. Controls are hard to see in low light conditions. Sony’s designs are always interesting. This brand is just a master of delivering concise, well rounded speakers on a budget. 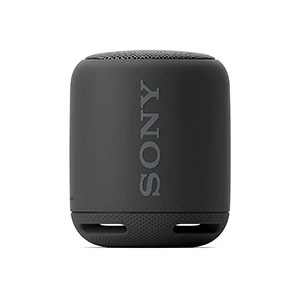 What sets the Sony XB10 Portable Wireless Speaker apart from most other is the fact that it brings you a very unique type of sound. In a way, it answers the needs of a large group of users out there. This bad boy is all about that bass. It is a very compact speaker that packs a good driver and a chassis which is designed to boost that low end significantly. Where most brag about good bass, this Sony actually delivers. In terms of battery life, you are looking at 16 hours of casual use. Overall, it is a beast. When you look at Bluetooth speakers in the entry level range and those in the $100 price range, you would be surprised how many upgrades and improvements can be found in the latter. Keep in mind that the price difference between these two categories is sometimes as low as $20. The very first difference is power. In most cases, you will see 20 Watts being the standard. Some speakers a slightly more powerful, while some are slightly less powerful. These fluctuations are usually within +-5 Watts. This doesn’t come without one pretty significant side effect. With more power comes higher energy consumption. Even with beefy batteries, you are looking at 8 hours of play time on average. That FUGOO Style and its 40 hours of playtime is an extreme except ion to the rule. Power is by far the most significant difference, but appearance and design improvements is what you will notice first. To put it in simple words, Bluetooth speakers in this price range are built rock solid. We are looking at sturdier construction, pretty tight build quality, and most importantly, use of better materials. The $100 you are about to spend on these speakers will get you up to IP67 certification. While that might be common in $200 price range, keep in mind that some of the models we are talking about here are less then $100. That alone is fairly impressive. Lastly, we have to mention the higher number of transducers per speaker on average. Most budget models come with two drivers and sometimes a passive subwoofer. Speakers we are talking about here will sometimes feature 4 or even 6 speakers. Having more speakers means that you will generally have dedicated transducers for each portion of the frequency range. This in turn has a rather significant impact on the performance of the speaker. Overall, spending $100 or so on a Bluetooth speaker will get you what is probably the best value for your money. At this point your investment gets you lots of features and better performance overall. The ones we have shown you above are by far some of the most capable models available at the moment. Luckily for us, brands are slowly realizing that this particular price range is where more and more attention is being shifted towards. It is fair to say that we will see even more powerful as well as capable Bluetooth speakers in the very near future.